Independent country cottage of 40 m2, located 12 minutes from the sea, 3 minutes from O gliss park, 5 minutes from Indian forest, including a living room with a fully equipped kitchen (dishwasher, oven, microwave etc ...) A convertible sofa comfort. A room with comfort double bed, a bathroom with spacious shower, a private terrace without vis-à-vis (barbecue, deckchair, garden furniture). 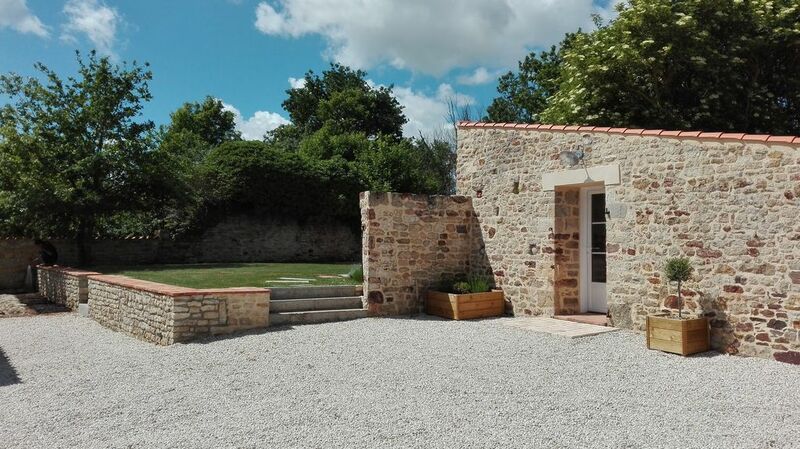 You will appreciate the calm of this country cottage dating from XVI centuries entirely renovated with taste end 2017, offering the possibility of various destinations (ex: 30 minutes of Sands of olonne, 1 hour of Rochelle and Puy du fou, a few minutes surf spots ..). Departure of many hiking and cycling (guides and advice on site). A private garden awaits you for a candlelight dinner or a family barbecue.